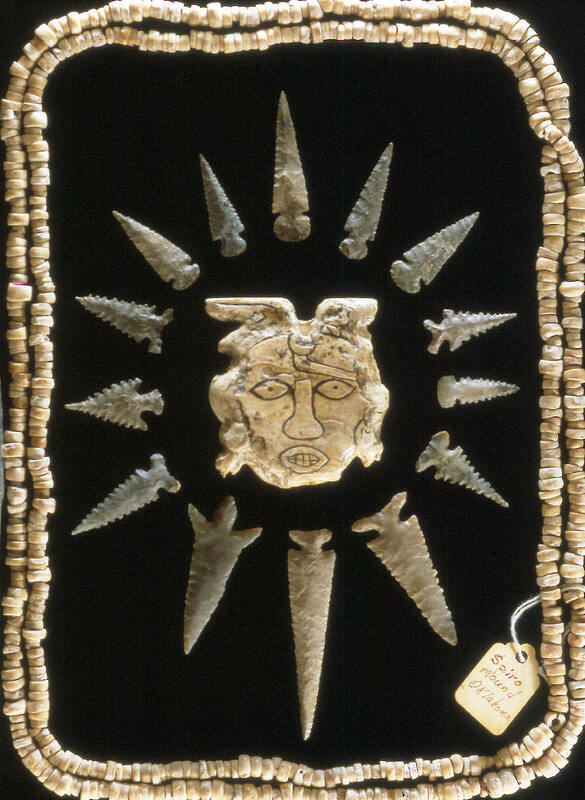 These arrow points, beads and the carved shell face were all dug from Craig Mound. These beads are typical of the ones found there. But more elaborate examples were also found. Some had carved faces and others were even carved in the shape of human finger bones. An estimated 1200 pounds of shell beads were brought out of the mound. Another estimate of two gallons of pearl beads and one gallon of stone beads were also found. The carved face in the center of this picture represents one of approximately 200 other carved shells found there.